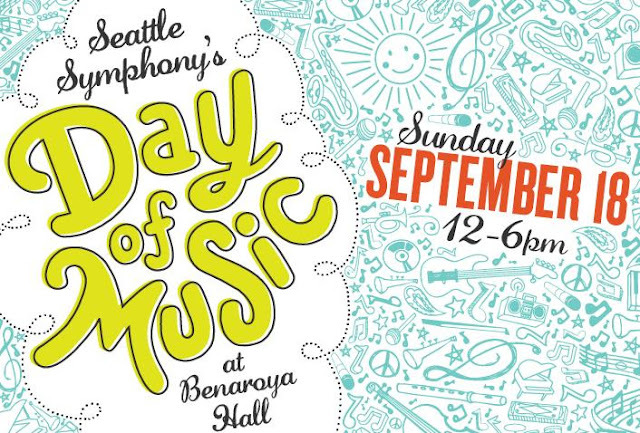 Kidnapping Water: Bottled Operas appears at the Seattle Symphony’s Day of Music. Soprano Betsy Baeskens performs with percussionists Byron Au Yong and Stuart McLeod in the fountains in the Garden of Remembrance outside Benaroya Hall. They are part of the 40+ musical groups invited to perform in seven locations as part of this community-wide celebration of Seattle music as well as welcome for conductor Ludovic Morlot.